· Index librorum, et capitum Institutionum philosophiæ moralis. 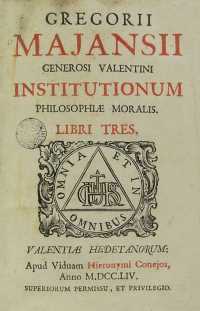 · Institutionum philosophiae moralis. Liber I. · Institutionum philosophiae moralis. Liber II. · Institutionum philosophiae moralis. Liber III.